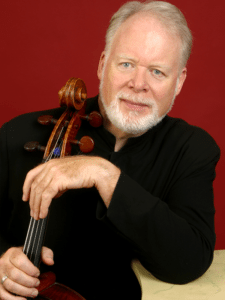 Mr. Harrell is a frequent guest of many leading orchestras including Boston, Chicago, New York, Philadelphia, San Francisco, Ottawa, Pittsburgh, and the National Symphony. In Europe, he partners with the orchestras of London, Munich, Berlin, Tonhalle and Israel. He has also toured extensively to Australia and New Zealand as well as the Far East, including Japan, Korea, Malaysia, Taiwan and Hong Kong. In the summer of 1999, Mr. Harrell was featured in a three‐week “Lynn Harrell Cello Festival” with the Hong Kong Philharmonic. He regularly collaborates with such noted conductors as James Levine, Sir Neville Marriner, Kurt Masur, Zubin Mehta, André Previn, Sir Simon Rattle, Leonard Slatkin, Yuri Temirkanov, Michael Tilson Thomas, and David Zinman. Mr. Harrell’s experience as an educator is wide and varied. From 1985‐93 he held the International Chair for Cello Studies at the Royal Academy in London. Concurrently, from 1988‐92, he was Artistic Director of the orchestra, chamber music and conductor training program at the L.A. Philharmonic Institute. In 1993, he became head of the Royal Academy in London, a post he held through 1995. He has also given master classes at the Verbier and Aspen festivals and in major metropolitan areas throughout the world. Since the start of the 2002‐03 academic year, Mr. Harrell has taught cello at Rice University’s Shepherd School of Music. Mr. Harrell was born in New York to musician parents. He began his musical studies in Dallas and proceeded to the Juilliard School and the Curtis Institute of Music. He is the recipient of numerous awards, including the first Avery Fisher Award. In June 2010, along with his wife, violinist Helen Nightengale, he founded the HEARTbeats Foundation, a 501(c) charity. Based in Los Angeles, the HEARTbeats Foundation strives to help children in need harness the power of music to better cope with, and recover from, the extreme challenges of poverty and conflict, in hope of creating a more peaceful, sustainable world for generations to come. Mr. Harrell serves as a board officer and Artist Ambassador, a capacity that allows him to work directly with children in need.